Pecan trees are native to the United States and can be found growing throughout the southern part of the country, especially in Texas, where the pecan (Carya illinoensis) is the state tree. These deciduous trees need deep, fertile soil that is consistently moist, as well as lots of room to grow and spread out, as they can reach heights of 70 feet. There are over 200 named cultivars of the pecan tree, according to the University of Florida. Moreland is a pecan tree variety that is hardy, disease-resistant and produces a large amount of pecans. This tree also has a dense canopy, making it a good choice in a home garden for use as a shade tree. The pecans have a medium-thick shell and can be somewhat difficult to crack open. Summer is a variety known as a prolific producer of pecans. This variety has stronger wood than others, and it is slender and tall, with a somewhat open canopy. The pecans are large and of good quality, although dark in color, and they mature later than some other varieties. Summer pecan is resistant to many types of pecan tree diseases, including scab and leaf spot. Elliot is a variety recommended as a good choice for home gardeners. This tree is quite hardy, not too large and produces a good amount of pecans. The nuts are small, but their color is light and attractive, and the taste is excellent. 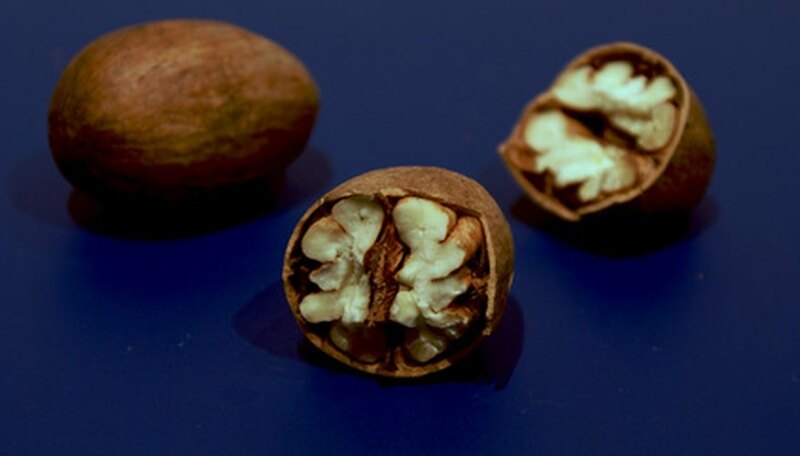 In addition, this variety of pecan is very disease-resistant and can be grown further south than many other varieties of pecan, as it has a low chill requirement. Cape Fear is a variety often used as a pollinator for other varieties of pecan trees, including those mentioned above. The tree throws pollen very early in the year, which gives it ample time to reach other varieties. It is a very strong tree, with a deep taproot. The pecans are of medium size and are light and attractive, with a thin shell and mild taste. This variety is moderately disease resistant, but it can suffer from some fungal diseases that cause leaf spot.